ADDIS ABABA, March 9. /TASS/. Moscow has always supported efforts to continue the dialogue on strategic stability with Washington, Russia’s Foreign Minister Sergey Lavrov said on Friday when commenting the call of several US senators for talks with Russia on strategic issues and extension of the Treaty on Measures for the Further Reduction and Limitation of Strategic Offensive Arms (New START Treaty). "We have always stood out for further dialogue on strategic stability between Russia and the United States," he said, adding that "such a dialogue should be developed on the base of mutual respect, balance of interests and should not go together with preliminary conditions." 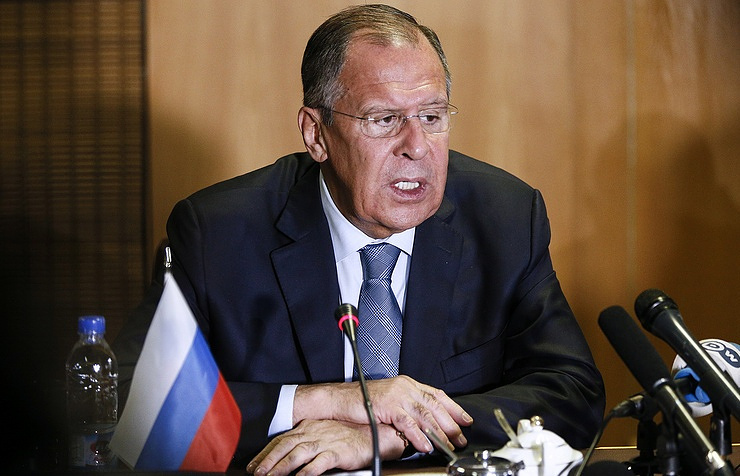 "The treaty itself is based on cooperation mechanisms on implementation of the document, they are used in the context of the work of the commission that has been established to monitor its implementation," Lavrov explained. Four American senators submitted a letter addressed to US Secretary of State Rex Tillerson on Thursday, urging him to hold talks with Russia on strategic issues and extension of the New START Treaty following President Putin’s statements.